The Kepler space telescope is operated by NASA to discover other earths, some of which could support life and its latest discovery is significant enough to bring with it a huge press conference. Very little further information was given about the announcement, which will take place on Thursday. 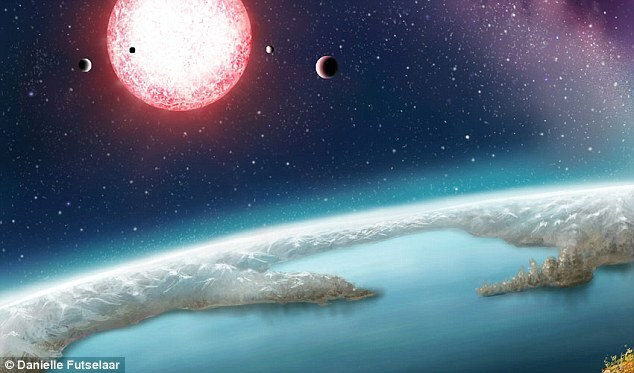 But it will almost certainly relate to exoplanets – Earth-sized worlds that orbit around their own stars, and are our best hope of finding alien life. The space agency called for a press teleconference Thursday at 1 p.m. EST, which will be streamed live on NASA Live. The news release contained a briefing of the discovery, which mentioned Google’s AI was key to the findings. The space agency said that the discovery was made with the help of Google artificial intelligence, which is being used to analyze the data sent down by the telescope. By using machine learning provided by the tech giant, NASA hopes that it can pick through the possible planets more quickly and hopefully find life-supporting planets sooner. NASA said that four engineers and scientists would take part in the session. They include Paul Hertz, who leads NASA’s astrophysics division, a senior Google software engineer, and two scientists. The Kepler telescope was launched in 2009, when scientists didn’t know how many exoplanets there were. It has shown they are surprisingly common, indicating that each star might have its own planet. It completed its main mission in 2012, but has continued to do more work. In 2014, it began a major mission called K2, which looks for more exoplanets as well as studying other cosmic phenomena. The sheer amount of data coming from the telescope means that scientists have trouble picking through it to find the planets that might be interesting. The introduction of the use of artificial intelligence is intended to help with that, by allowing computers to do some of the work. The Kepler mission has already led to major breakthroughs, finding that the universe is full of planets that could theoretically support life. Many of those breakthroughs are announced in major press conferences. In February, for instance, it said that it was holding a major press announcement similar to the one this week. At that event, it said that it had found the “holy grail” – an entire solar system that could support life.